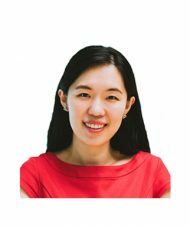 Joy is a Singapore Green Mark Manager, Singapore Certified Energy Manager, US LEED Accredited Professional and Malaysia Green Building Index Facilitator. She joined Surbana Jurong in 2008. Having obtained these qualifications and experiences, she has gained holistic view of how the green and sustainable industry is evolving today, and she is continually exploring new ideas to enhance the sustainability services. Joy is also regarded as one of the pioneers in the sustainable building design industry, and a design “optimizer”. She is also one of the key team group lead for NUS SDE4. Introduction Amidst growing concerns about rising energy prices and the impact of climate change, it is important to know that buildings in Singapore constitute to high energy consumption year on year. This fact underpins the significance of targeting building energy use as a key to decreasing the nation’s energy consumption.